White Musk Gazelle - soothing, rich and musky. This musk is absolutely wonderful, words cannot do justice to explain the magnificence of this unique traditional oil - Eastern white musk enhanced with a veil of Istambuli Rose. Our white musk is 100% natural edible oil, and comes with many health benefits and uses. To ease physical and mental tension, white musk can be used as a massage oil by itself or blended with natural vegetal oils. As the use of white musk has been shown to have aroma therapeutic health benefits, it suits well for purification and enhancement of the atmosphere during spiritual ceremonies and to reach a higher state of consciousness during meditation. Mid Note: Slightly spicy, thick & rich consistency, pungent & lightly floral...Unassuming yet recognizably special. Base Note: Ozonic, fresh & enduring--mellows into a warm musky scent that is positive and attractive. Encourages warm conversation and healthy interaction. An all time great and a true favorite of Agarscents Bazaar. Very nice scent, thank you. Absolutely amazing! Gorgeous golden color, not too thick, and smells otherworldly. Woody, sweet, ethereal, and has the character of civet oddly enough. Slightly smoky in a petrol way, but it's that barnyard coming out ( which I adore). Awesome stuff, indeed! Thank you guys so much, and all the best! 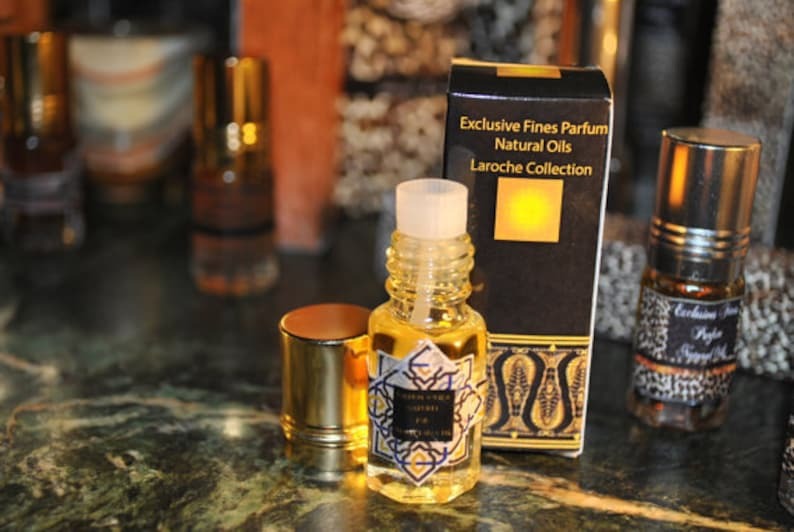 Hindi dhen al oudh attar 3 ml-Natural Agarwood / Aloeswood / Bois D'Agar / Khalta perfume oil by Sharif LaRoche. this was a re-order and was amazing as usual BUT what i really wanted to review and gush about was the free Egyptian musk Dunbar (?) that it came with, GENIUS marketing idea Sharif because I have a new favorite n will be repurchasing once finished with the one you sent me, has a glorious soft vanilla rosey musk, warmer than musk superior, cant explain but so delicious i want to make out with myself when i wear it lol! thank you!! Agarscents Bazaar is now offering the convenience of direct checkout via Etsy. We are accepting all major credit cards along with PayPal transfers for all transactions. We also accept Western Union transfers on an individual case basis at our discretion. We do not charge any tax on your purchase in any of our Agarscents Bazaar stores, including Etsy. After payment has been made, the order will be recorded, prepared and processed at the Bazaar. Most of Agarscents' fragrances are made to order, hand crafted by our perfumer, therefore, if by any reason you change your mind and want to cancel your order, please notify us within 24 hours, so the cancellation and refund of payment will be processed without delay in an efficient and satisfactory manner. We ship world wide using the United States Parcel Service (USPS), and by customer request, United Parcel Service (UPS) or Federal Express (FedEx). All our orders are prepared and packaged after receipt of cleared payment. If you are paying by Electronic Check or Bank Transfer via PayPal, it generally takes one week before payment is cleared by PayPal. Depending on the amount of orders, your order will be shipped within 24-72 Business Hours (excluding Saturday and Sunday or National Holidays) after Cleared Payment, using the method of shipping service you selected. Please Note; If you choose to pay for expedited Priority Shipping or Express Mail Shipping service, you are only paying for the USPS Mailing Service, not for expediting your order at our packaging department, i.e. your order will be sent within 24-72 Business Hours after receipt of Cleared Payment, in the order our customer orders were received. If you need Rushed/Expedited Service within the Bazaar, or need your items by a certain date, please contact us at the time you place the order, and we will see how we may be able to best assist you. We reserve the right to change the shipping method or service carrier depending on the destination, for the most time and cost effective shipping service. First Class Mail International Service and Priority Mail International Service do NOT include online tracking ability - for online tracking on International packages, including $100 insurance, please select Express Mail International Service at checkout. To show our appreciation for you choosing Agarscents Bazaar, we offer FREE FIRST CLASS MAIL SHIPPING FOR ALL U.S. ORDERS AND ALL INTERNATIONAL ORDERS OVER $65, with the option to upgrade to Priority or Express Mail Service if you need faster delivery or online tracking. Due to the increase of the USPS international and domestic shipping rates in 2016, we had to adjust our fees to better provide the quality of service that we are accustomed to. The average shipping cost for International orders under $65 is $12-$15, yet we only charge $7.95 from our customers. All orders over $65 are shipped free, as we are covering the average $12-$15 international and $5 domestic shipping charges. At Agarscents, we are doing our best to accommodate you and make your shopping experience better by absorbing the shipping costs whenever possible. Please Note; Only Express Mail Service comes with online tracking and $100 insurance against loss or damage. The term "Business Days" means weekdays only, excluding National Holidays, Saturdays and Sundays. Most International orders will reach their destination in one week, depending on the day of the week the order was shipped. Some international orders will take up to two weeks, depending on the country's Customs regulations or local postal system. During the December Holiday season, the delivery times of all orders will be longer, and due to an increased amount of orders, processing of orders may take 1-2 days longer in house. We thank you for your patience and understanding, as we are doing our best to get your order out as soon as possible. For extra fees/tarifs/duties by the Customs, please check the rules and regulations by your country.